Some new photos and videos of the set of the young Han Solo A Star Wars Story film at the Fawley Power Station in Hampshire, England have been posted online. The pictures give us a new look at some of the set dressings, vehicles, and characters on the set (though, no more shots of the main characters in action). The pictures were posted to Instagram by @davidpennyesq. The pictures don't give away anything about the plot, but if you are trying to avoid all Star Wars spoilers stop reading now. This is your SPOILER ALERT! It's cool to see the Imperial vehicle in action in the above video. We had previous seen the trooper on the vehicle wearing some sort of camouflage cover/poncho. Now we got a look at his full armor. Unfortunately it's too far away to tell if it's a new type of armor. From what we can tell it looks like a variation on the Scout Trooper. 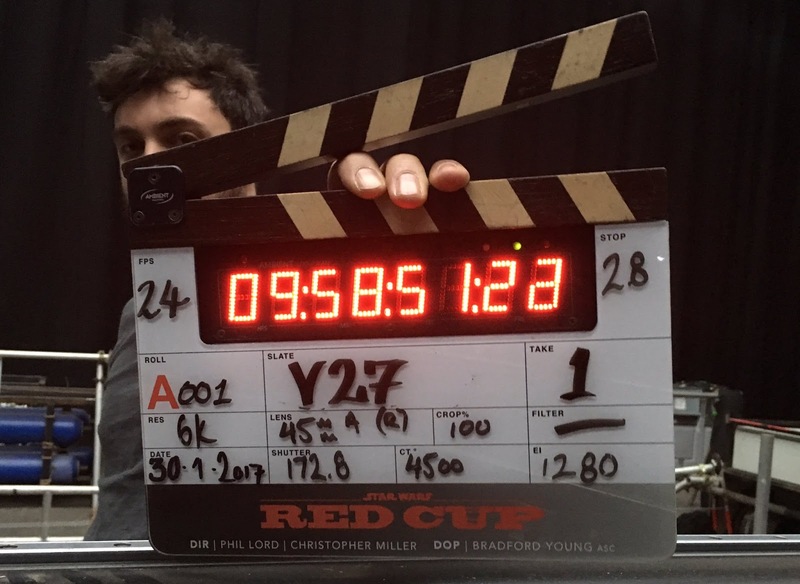 The untitled young Han Solo film hits theaters on May 25th, 2018 and stars Alden Ehrenreich (Hail Caesar!) as Han Solo, Donald Glover (Atlanta) as Lando Calrissian, Emilia Clarke (Game of Thrones), Woody Harrelson (True Detective) as Beckett, Phoebe Waller-Bridge (Fleabag), Thandie Newton (Westworld), and Michael K. Williams (The Wire). The film is directed by Phil Lord and Chris Miller (The Lego Movie), with a script by Lawrence Kasdan (The Empire Strikes Back) and his son Jon Kasdan (The First Time).